Why should you personalize the entire page? This personalization also takes accounts for your monetization needs. Indeed, you can still add display blocks as on your current site in addition to the recommended articles. No worries, our algorithms know perfectly well to avoid bubbles of interest and preserve your editorial line if needed. Customizing a complete page is not always considered or feasible, typically on an article page, the customization of the complete page would be less suitable. There is no question of leaving these pages free of customization. Why should you go for block of personalized recommendations? Fully personalizing the entire web site might still seem a long shot to you and you would rather pick a less disruptive technology or some pages seem to be less easy to personalize such as an article page? No problem, you can simply then simply add some personalized recommendations and display this block of one, two , three or more articles on the web page at the location of your choice. In most cases, thoses blocks are put at the bottom of the page. This solution works exactly as the full page personalization except the personalization is limited to ther articles in the block. A great increase of the time spent on you site thanks to a much higher number of pages viewed. Recommend to your subscribers the articles and topics for which they pay a subscription. To increase your customer satisfaction and her loyalty, you can choose to recommend different topics and articles depending on the nature of the subscriptions and the interest of your subscribers. Typically, customers paying a monthly fee could get more premium articles and less “mainstream” news articles. Your subscribers will be recommended articles and topocs of interest for them. Each of your subscribers will feel unique and her experience on the web site will be both more fluid and more natural. 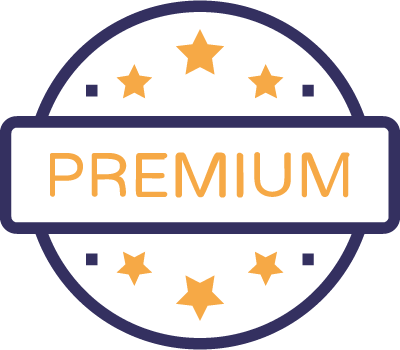 Clearly with a higher quality of service thanks to personalization, your subscribers will better understand that their subscription is definitely worth the monthly fee they are paying. The goal of personalized recommendation is to suggest to readers content that will match their interest. Not only our algorithms will automatically dig out for them the content that they are very likely to be interested by identifying the readers who share similar interest but also we carefully avoid bubbles of interest that social networks already put them into (a bubble of interest reflects the fact that a reader will get more and more content of a certain type). Therefore we favor as well the discovery of new topics in our personalized recommendations. As opposed to adds and retargeting, with personalized recommendations, the browsing data of our subscribers is only used to improve their online experience on the web site. Our algorithms are designed to perfectly match your business constraints and your editorial rules. We leave you the opportunity to integrate your conditions simply and quickly. Then the personalized recommendations will work automatically and autonomously. You will extremely quickly notice the great improvement of the results on the engagement of your subscribers : there will be a great improvement of the number of pages viewed and sessions generated thanks to the high click rate on the personalized recommendations. With the huge volume of content produced each day and the consideration of editorial and marketing choices your marketing teams are obviously not able to manage the recommendations manually, so let our algorithms take care of it. Your teams will save a lot of time and your readers will get a much better customer experience. 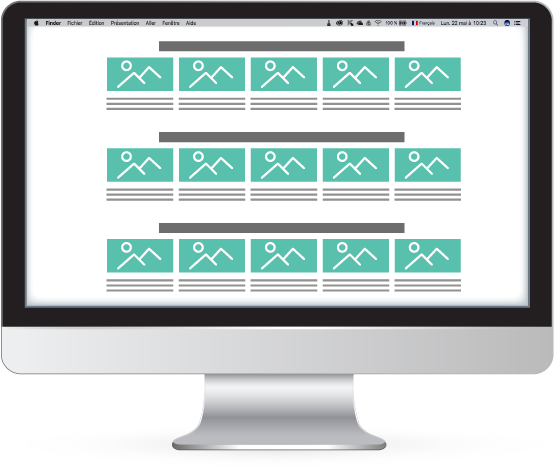 Mediego is an agile and reactive solution ideal for your marketing actions. The team clearly gets our challenges and addresses them in a timely and innovative way. How to integrate personalized recommendations? We collect data in order to understand and know your visitors. As soon as we collect dat, we will be able to identify similarities among your visitors. Once we will have identified similar profiles, we will help you to understand what kind of recommendations you want to put online, to whom and in which format. Then we will provide you with a recommendation template to integrate on your web site or interact with your Web agency to do so, whould you have one. You are now ready to witness the performances of personalized recommendations form the Mediego dashboard. Should you need some A/B tests to challenge our solution with anything else, we can obviously do it immediately. Media, find out more ! 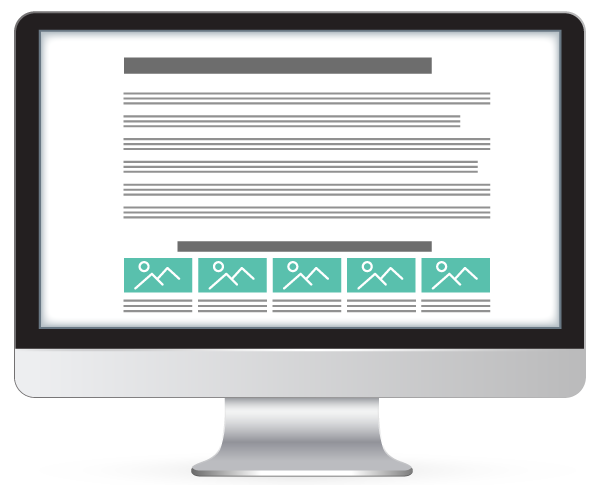 Find out how Mediego can help you to automatically personalize the content of your newsletters. Find out how Mediego can help you with the acquisition of audience and how you can segment the known and unknown Internet users.